The event is organized by the Pacific Area Travel Writers Association (PATWA), a professional organisation of travel writers which was founded in 1998. The International Seminar on Global Trends and Challenges is an annual signature event. The seminar will feature key stakeholders and global leaders in tourism such as the Secretary General of the United Nations World Tourism Organization, Mr. Zurab Pololikashvili; Mr. Geoffrey Lipman, President of the International Coalition of Tourism Partners; and Mr. Alain St. Ange, Deputy Secretary-General of the Forum of Small Medium Economic AFRICA ASEAN, among others. “It is an honour for Jamaica to once again participate in this very important tradeshow. I am looking forward to engaging tourism stakeholders and investors to share best practices, and forge solutions to create a more resilient industry,” said the Minister. ITB Berlin is the largest tourism tradeshow in the world – the foremost business platform for global touristic offers and a prime marketplace and driving force behind the international tourism industry. The event highlights hotels, tourist boards, tour operators, airlines among others related to the travel industry. ITB is also the ideal forum for establishing new customer contacts and conducting business. ITB this year will feature a Jamaica Night event on March 7 which will highlight the county’s attractions, food and culture. “Jamaica Night is a great marketing opportunity for us in Germany. Last year we welcomed over 34,000 stop-over visitors from that country, which is a 14.7% increase over the same period in 2017,” said the Minister. 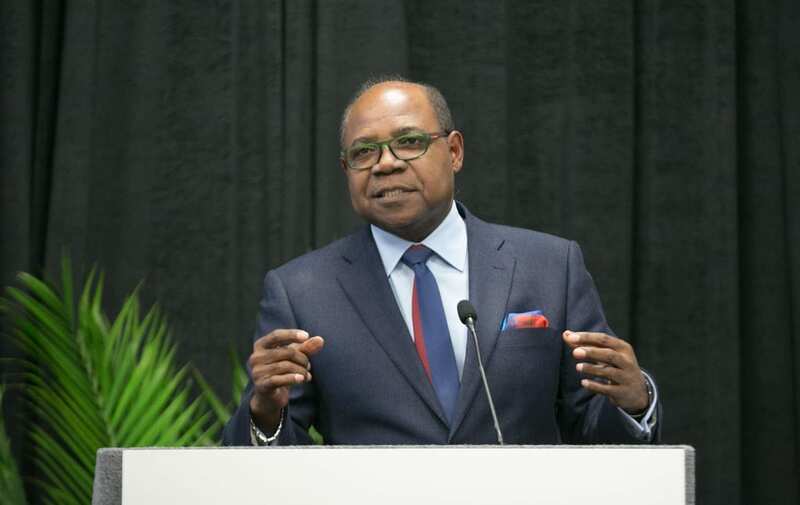 He also noted that during the last ITB, Berlin event, Eurowings officials announced their once weekly scheduled nonstop flights between the German city of Munich and Montego Bay, which began last summer. “The new Eurowings route has been a welcomed addition to our industry, as Munich is one of the largest and wealthiest cities in Europe with a population of a population of 13 million. We have already seen an increase since and hope to further strengthen our marketing efforts to see an even greater increase,” he said. The Minister is joined by Director of Tourism, Donovan White and the Jamaica Tourist Board’s Events Manager, Lorna Robinson. Minister Bartlett will return to the island on March 9, 2019.